Preheat the oven to 300 F (150 degrees) and prepare a baking tin with baking paper. In a small bowl combine all the topping ingredients. Set aside. 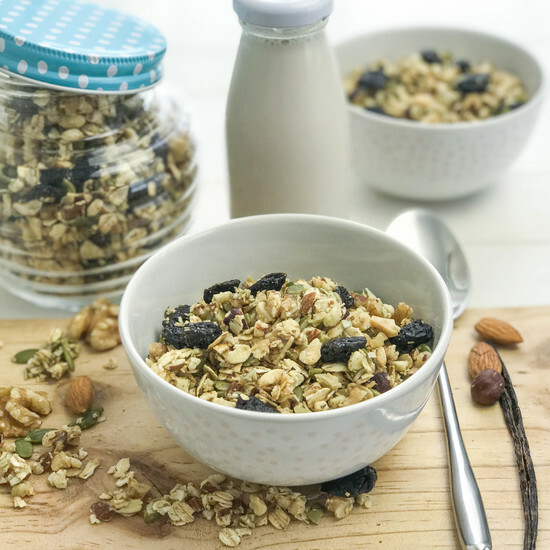 In a large bowl combine all of the granola ingredients. Pour the topping over the granola and mix well. 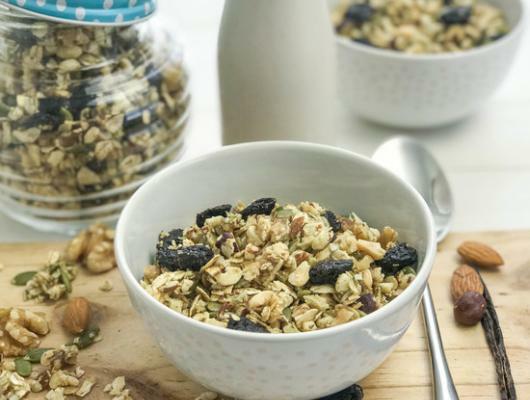 Remove the granola from the oven, pour it back into the big bowl, mix in the dried cherries and allow it to cool. It needs to completely cool down before you can fill it into a storage container. Serve with fortified almond milk.